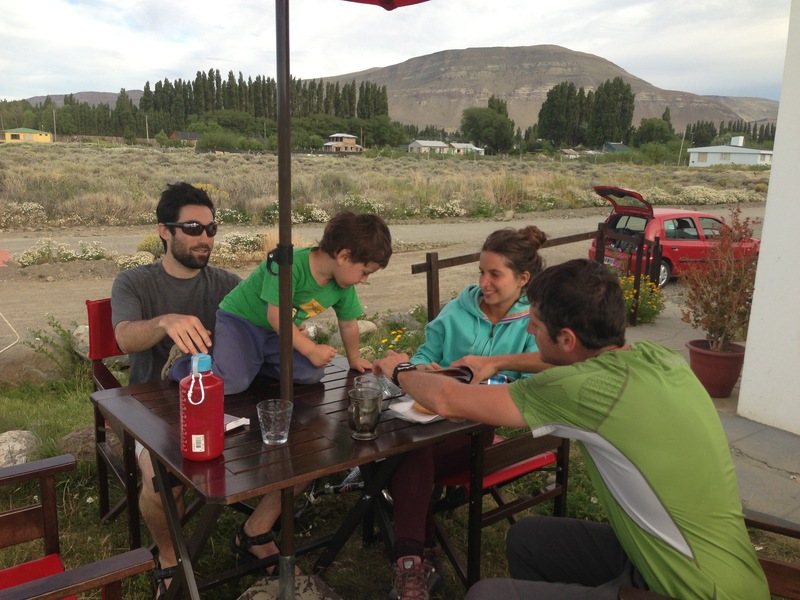 We took a seven hour bus ride across the border from Puerto Natales, Chile to Calafate, Argentina so that we could fly direct to Buenos Aires from there. 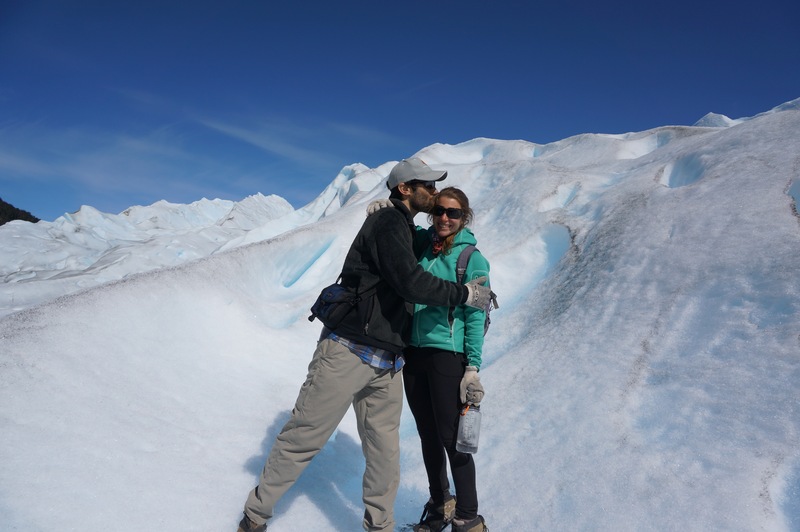 Despite a minor snag at the border where I was almost sent hitch-hiking back across the dead zone into Chile by an ornery bloodless Argentine customs official, we made it. 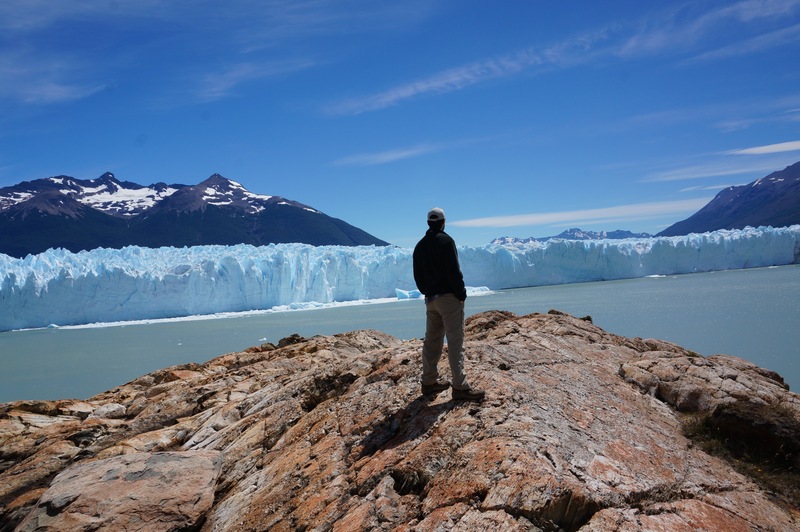 We spent two nights in Calafate so that we’d have a full day to see the Perito Moreno Glacier. 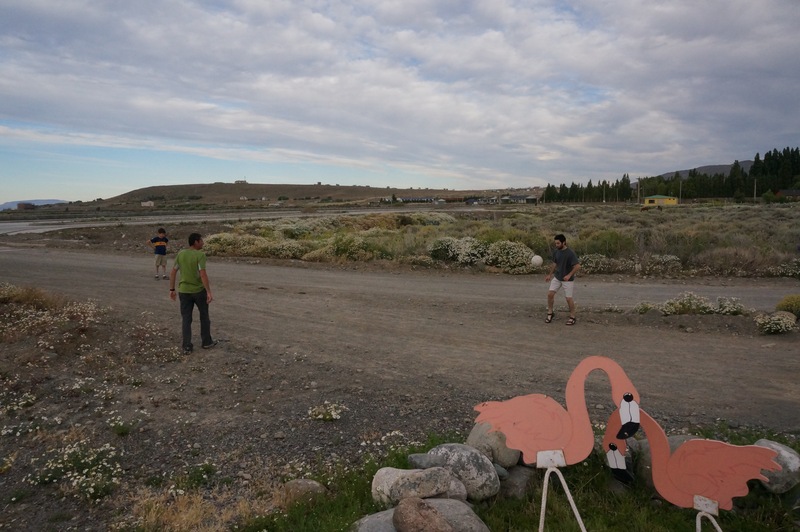 Sadly, it is one of only three in Patagonia that is not retracting. 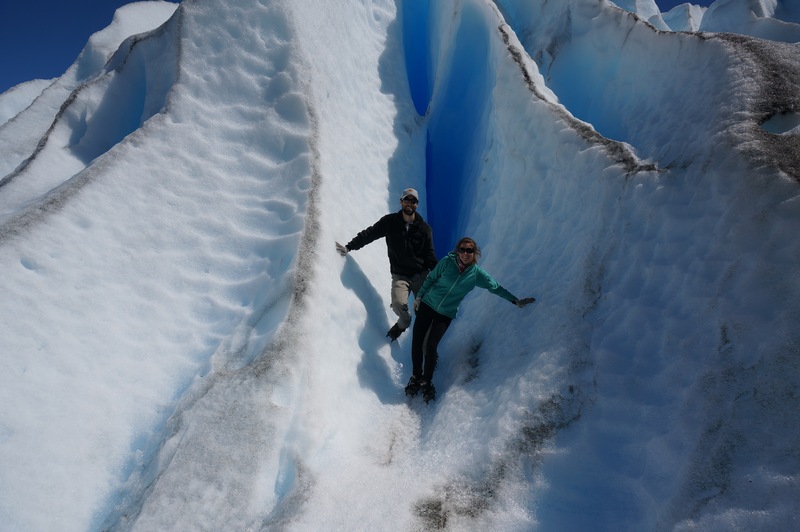 While Calafate itself leaves a little to be desired — expensive, touristy, all about the glacier, and doesn’t seem to have much culture — the glacier tour was actually quite amazing. 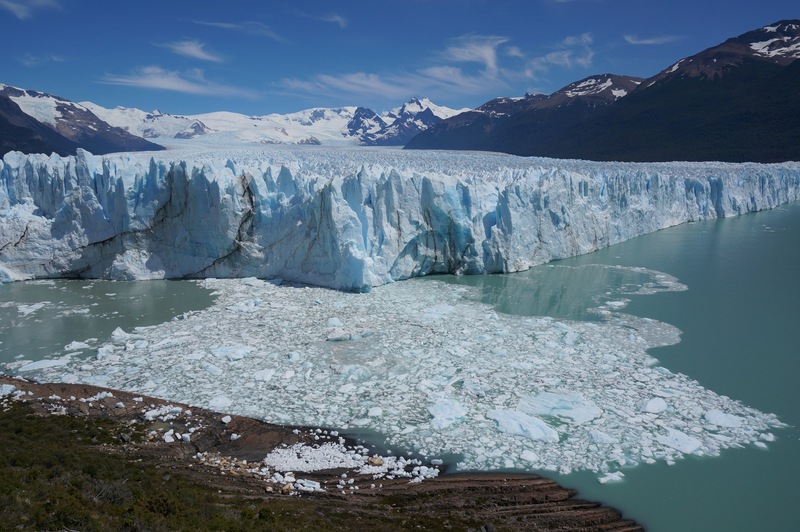 The Perito Moreno Glacier averages about 240 ft in height and spans nearly 100 spare miles. It’s like a massive ice sheet with a looming flat face as you approach it by boat. 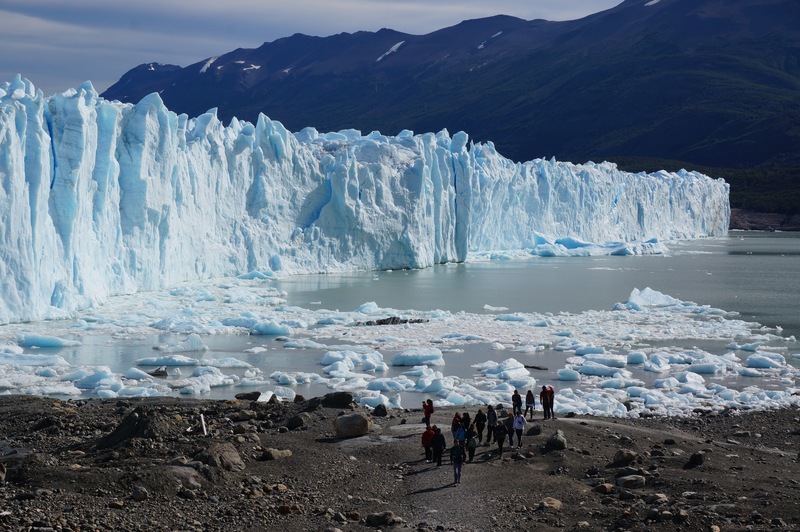 Given that it’s the middle of summer, we witnessed a bunch of “calving,” where huge chunks of ice crash into the lake below with a thunderous roar. Pretty cool to witness. 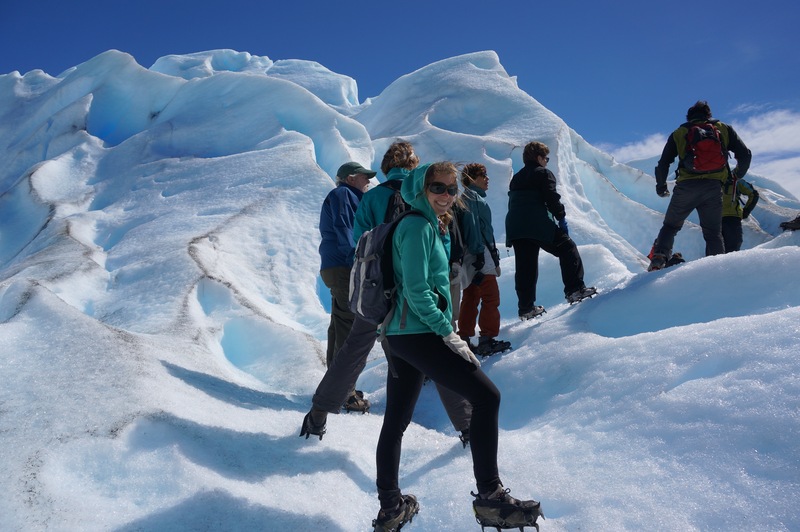 We also did the mini trek on the glacier, crampons and all, which was impressive though touristy. We stayed in a small hostel called Ave de los Lagos, which had some cleanliness issues but the owners (Fabi and Daniel) were super nice. It was really more of a homestay. They had two little boys: Tomas (8), who asked me to play soccer with him every 10 minutes (which I did, happily); and Queremias (3), an adorable little terror who occasionally sprinted around the hostel naked holding nothing but a bucket, and who can already ride a two-wheeler at age three. 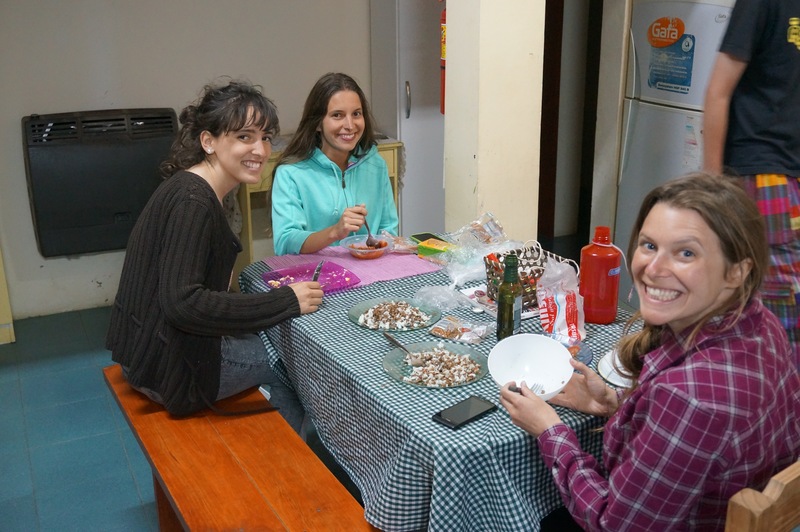 We shared our tiny room with Berni and Trini, two 21-year-old Chilean girls traveling together. Super nice, as was Luigi, the single Italian guy staying there as well. 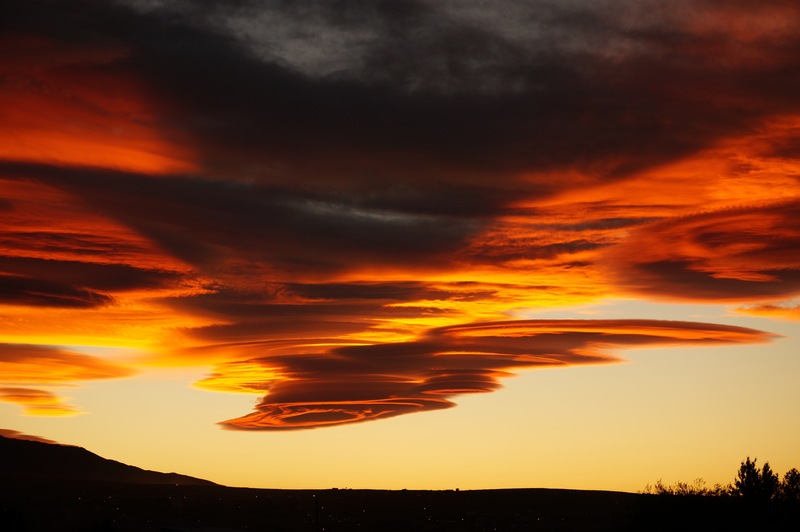 An interesting two days in Calafate with a few very memorable highlights. 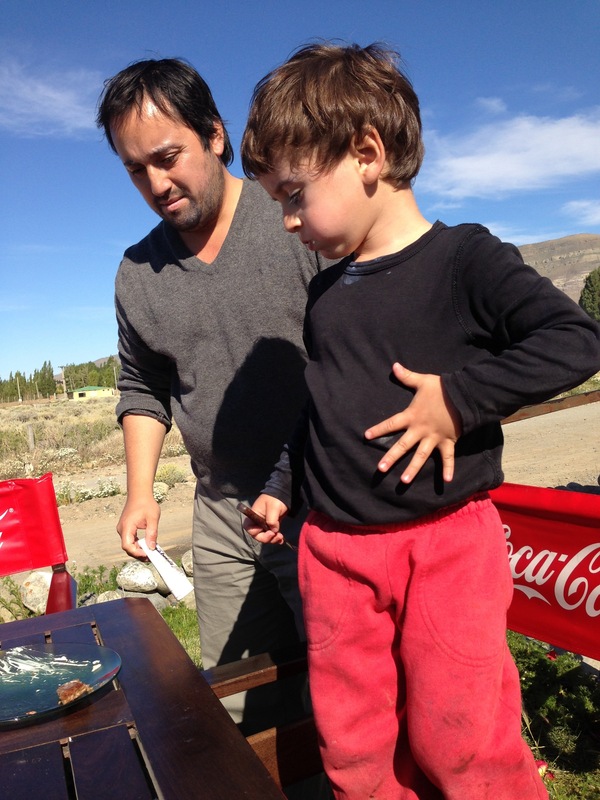 This entry was posted in Argentina on January 24, 2013 by Dan. Crampons? You overestimate my trekking intelligence… Guessing these were the ice gripping claws on your feet.